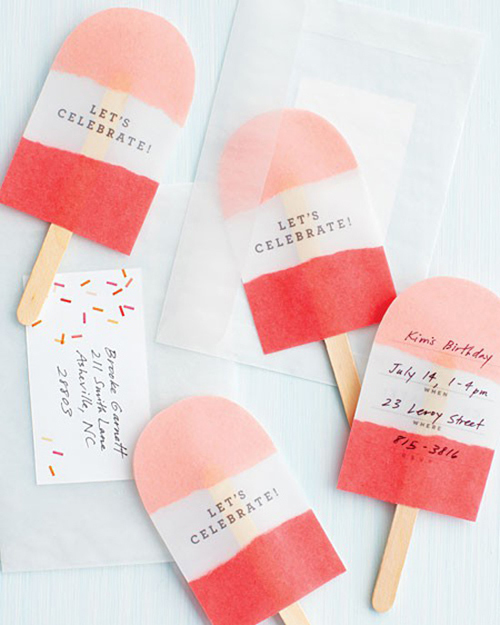 Today I’m loving … these popsicle invitations. Great for summer parties! lovely, this is such a good idea! What a lovely idea for a summer party. I really like the design of these invites. I’m having a party this month and wasn’t planning on sending invites but I think I might now just so I can do this! Very cute, I could see my children making these as birthday party invitations for their schoolfriends or something. Cute way to express an invitation!